I’m grateful to announce that I was recently elected to be the President of the Firebird Foundation! For me this is a great honor and privilege as I have been heavily involved with Firebird SQL ever since its very beginnings. I even played a significant role in the events leading up to the open sourcing of InterBase. This database is on a solid foundation! If we really get the attention we deserve, and attract some additional talent to add to our dedicated team of developers, it will be amazing to see what we continue to accomplish over the years. I would especially like to begin reaching out to companies who would be open to becoming sponsors of our ongoing development. I welcome contact from large corporations looking to improve their bottom-line by adopting Firebird in their embedded devices and everything in between, all the way up to mid-ranged muti-terrabyte datastores. 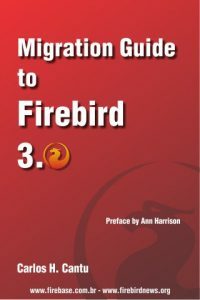 Firebird’s versatility and light footprint and low maintenance make it a must-have database tool for the industry today.